Beat the Results Day Online Rush! Relax and get your results in your mailbox. SUBSCRIBE to the SL Result Mailer Service Now!! 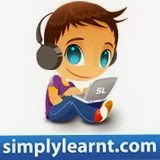 Thanks Simplylearnt, you have saved me from the rush. First its exam tension then the result. Firstly, Thanks for board exam wishes. and secondly what you are planning after my board exams over?